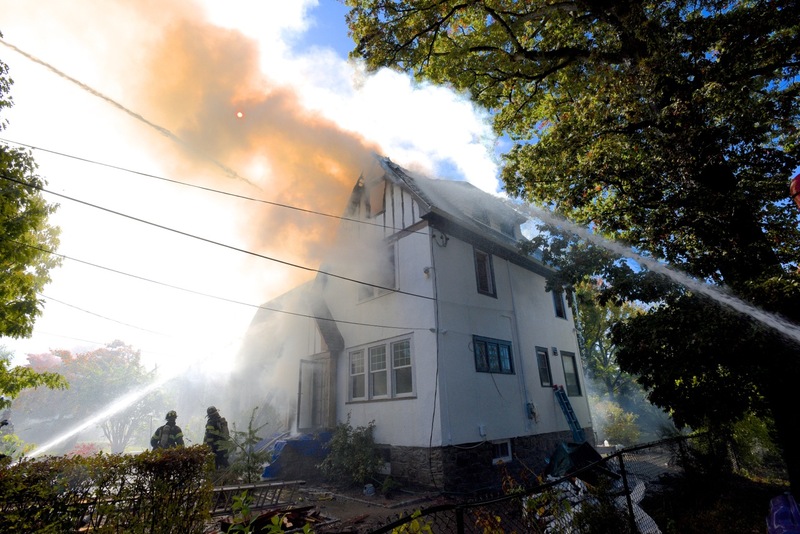 NEW ROCHELLE, NY, October 15, 2015 — Faced with an advanced fire ripping through a large home, New Rochelle firefighters pushed in aggressively. A senior officer on the first hose team reported, “it was the hottest fire I can remember… fire in every room on the third floor”. “Smoke was pumping out of [the underside of the roof]” as firefighters arrived, according to one of the first on the scene. It wasn’t long before fire, which had already jumped from the first floor to the third, had burned “through the roof”. Luckily, the homeowner got out safely. While many factors contribute to the outcome of any fire, it is important to note that almost every fire company in New Rochelle is one firefighter short of the industry standard minimum staffing to effectively fight house fires. This allows the fire to grow as each task takes 20% longer, as proven by National Institute of Standards and Technology (NIST) experiments. A Providence FD study showed that adding the missing firefighter to each company reduced injuries by 24%, which would equate to 1 or 2 fewer injuries at this fire.